This past week, AlexandriaNews.org published an article about a longstanding, successful French Restaurant,Chez Andrée, located at the edge of the Lynhaven neighborhood in Arlandria. Were it not for one line in the article, it would be a good read on one of Alexandria's most tenured restaurants. That one off-hand comment, however, managed to throw our neighborhood under the bus. The corner of Commonwealth Avenue and East Glebe Road is not the place one would expect to find a French restaurant. That’s where, in spite of a neighborhood that has never quite transitioned, Chez Andrée has stood for 46 years, serving dedicated customers and working to attract new business. Let me tell you about transitions in Lynhaven, the neighborhood on the north end of Alexandria that is the proud home of Chez Andree. There was a time our neighborhood was the place to come for drugs and prostitution. That day is all but over. Working with the city and the police, the neighbors of Lynhaven came out of their homes and made a statement that crime wasn’t welcome here. They made this neighborhood the kind of place I sought out to live seven years ago. The story he tells could be repeated for any of the neighborhoods of Arlandria. Dedicated residents and Community Oriented Policing have driven crime numbers to near historic lows. While problem pockets still exist, to issue summary judgement on the neighborhood based on... well, we're really not sure where the "Low Blow" (as Joe called it in his rebuttal) came from. AlexandriaNews.org periodically covers goings-on in Arlandria, so I would think they would be more attuned to the history and progress made toward making these neighborhoods a great place to call home. Over the 46 years Chez Andrée has called Lynhaven home, there have been many transitional periods, so I join Joe in wondering, "exactly what kind of transition was Ms. Branch expecting?" 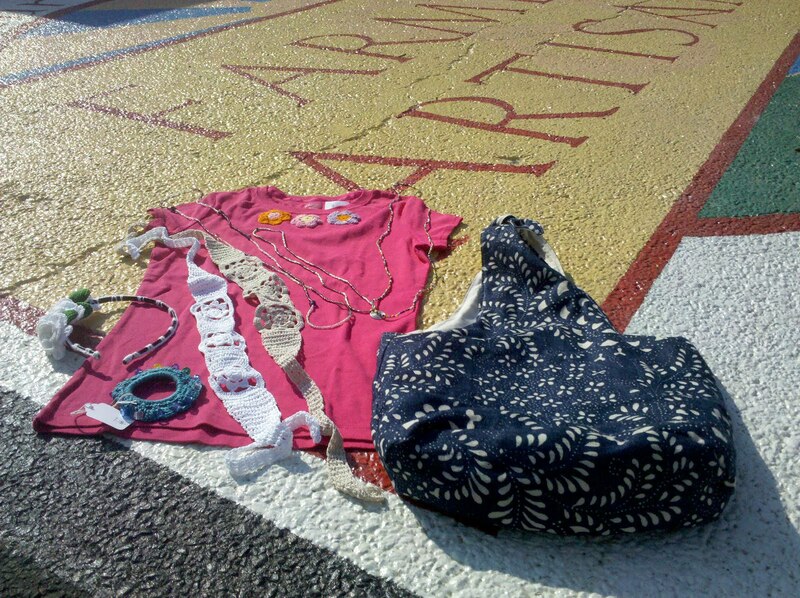 Mujeres Artesanas de Alexandria (MAdA) is a sub-organization of local non-profit Bienvenidos. They teach Latina women of Arlandria business, crafting, and English language skills. The majority of the women in the program are mothers of children in local schools and need to generate extra income to help support their families. 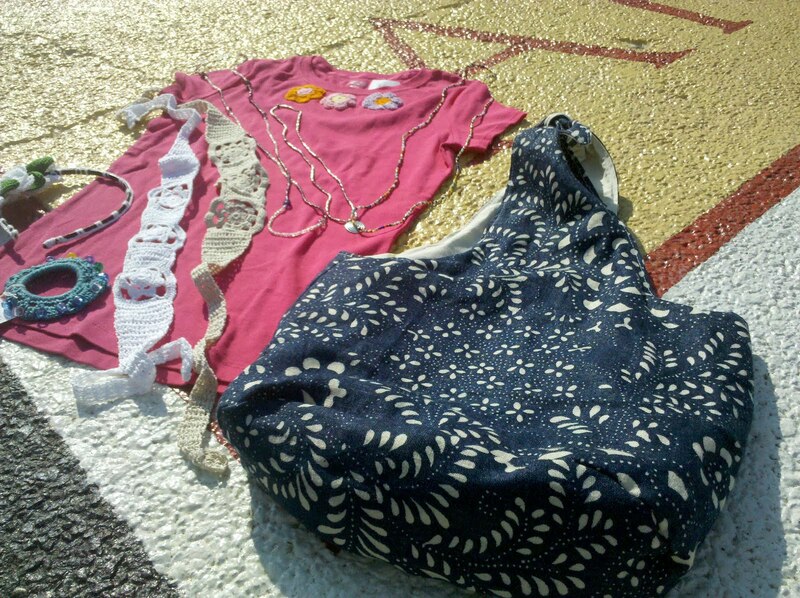 One of the volunteers and founders of MAdA, Beth Ladd, dropped by last Sunday's Four Mile Run Farmers and Artisans Market to give me an overview of MAdA's purpose and what they hope to achieve in Arlandria for their member "Mujeres". She also provided a few samples of their handicrafts (see pictures--above right and following video). Check out the quick 1 minute video below and see what Beth has to say about the organization. 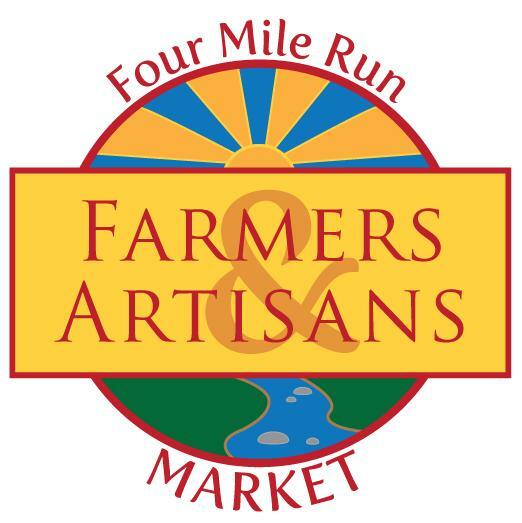 The 4 Mile Run Farmer's and Artisans Market has always included providing a place for local vendors to cheaply sell their wares as part of its mission statement. With the addition of MAdA, the Market's 15th vendor, it appears to be meeting at least one key portion of its mission. 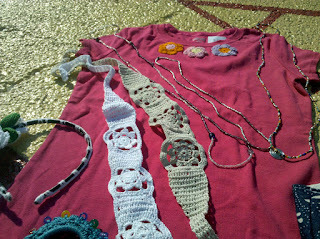 Come out and support the artisans and craftswomen of MAdA starting at the July 25th market (8am - 1pm).